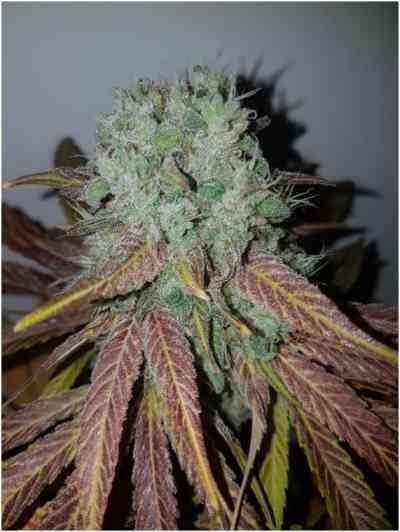 EVA Seeds TNT Kush comes from the mountains of Pakistan. It has an overwhelming power, effective rate of 100%. Large numbers of trichomes of enormous volume and very compact hard buds grow from these cannabis seeds. TNT Kush is easy to grow, especially in nitrogen-poor soils because green is kept very low in nutrients. Outdoors buds gives rise to long queues. Flowering indoor growing appreciates high temperatures, with buds more generous. The flavour of TNT Kush adds a touch of bitter almond and chocolate. Shape: rather elongated plant, with very compact and hard buds. Effect: very potent and relaxing. Ideal for night or medicinal use. Smell: very special, to walnut and cypress, with cherry and ripe star fruit tones. Taste: of mixture of smells, with added touches of bitter almond and chocolate. Nutritional needs: low. It functions with little fertilizer, it is sensitive to excess of nitrogen, though it adequately tolerates soils prepared with medium nutrients level. End of flowering height: from 2 to 3 meters, depending on sowing time.